Where Can We Buy Your Artwork? A cool mountain landscape deconstructed into minimalist shapes. It’s bold, bright and vibrant. Abstract Mountain by Brina Schenk is set for 10″ x 8″ but because it’s vector, it can be sized to as large or small as you need. The blue mountains are inspired by the beautiful mountain town I live in and the cool, winter days that come every year. Default - blue colours, 10" x 8" print file. Not sure how to change the colours on your own? We can do it for you! If you would like the default design (top of the page) ready for an 8x10 frame, this is where you can make that happen. Shipping included. We can do it all. Change the colours, have it signed by the artist and mailed right to you. 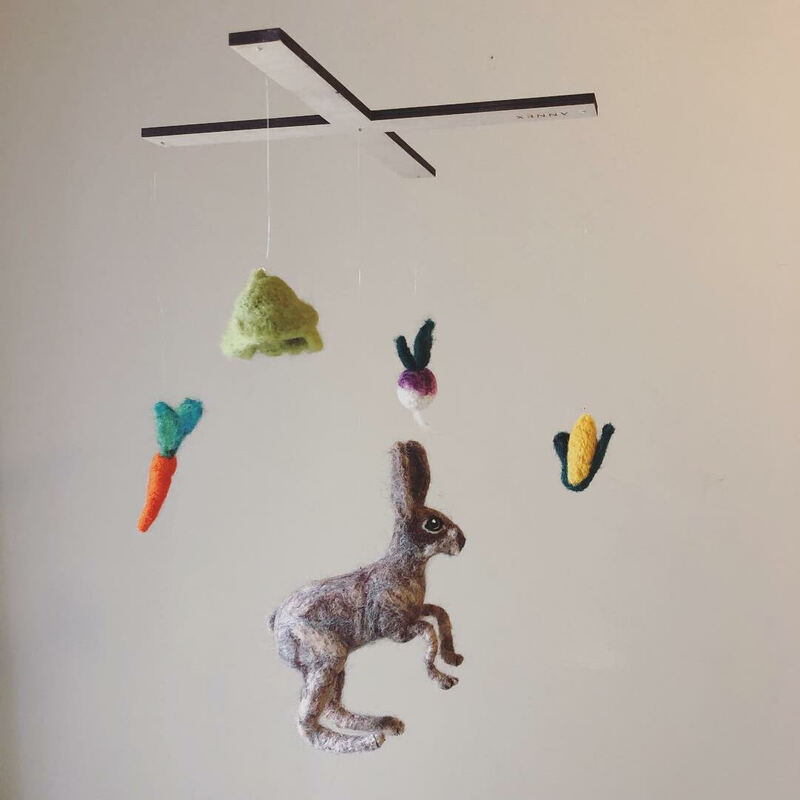 Hand crafted Mobiles, Suspended Art and Wall Hangings in our attempt to connect to the rest of the world. Annex Collections is a gallery of the artwork by Brina Schenk, an artist living in Fernie, BC. You’ll find original paintings, prints, illustrations and digital downloads (in the future). New illustrations and artwork posted weekly! 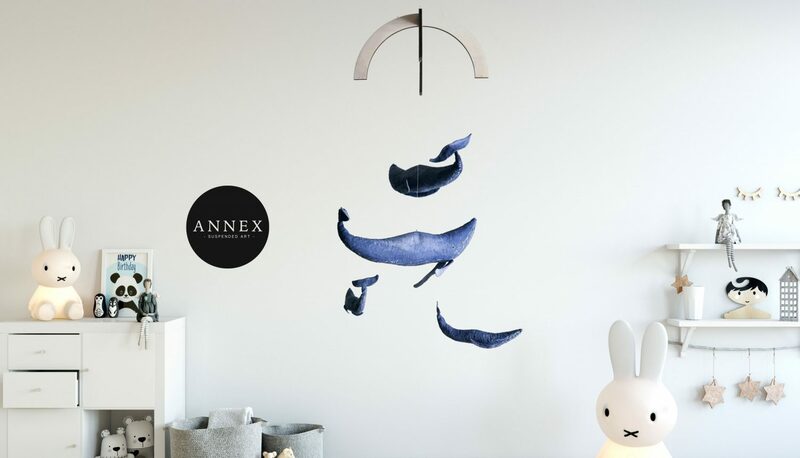 Annex Collections works closely with Annex Suspended, makers of creative mobiles and suspended art. 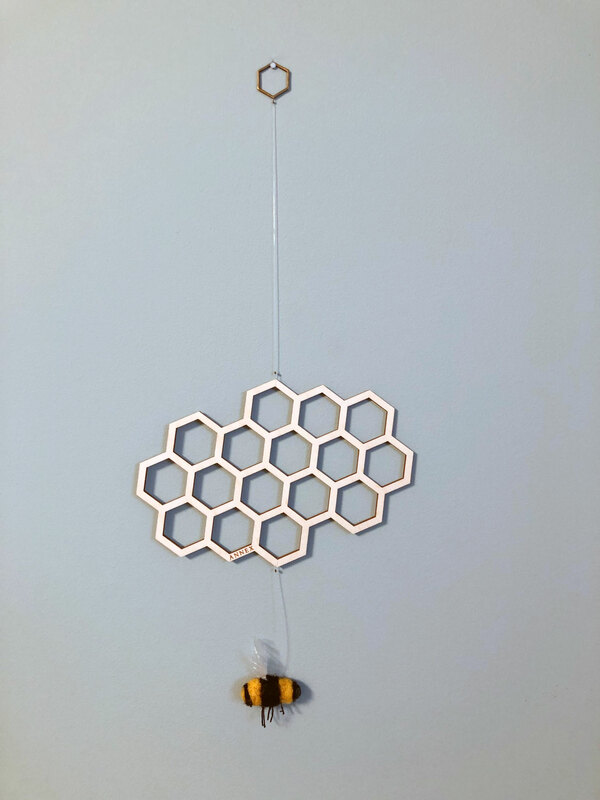 Restock Alert : Queen Bee is Back!